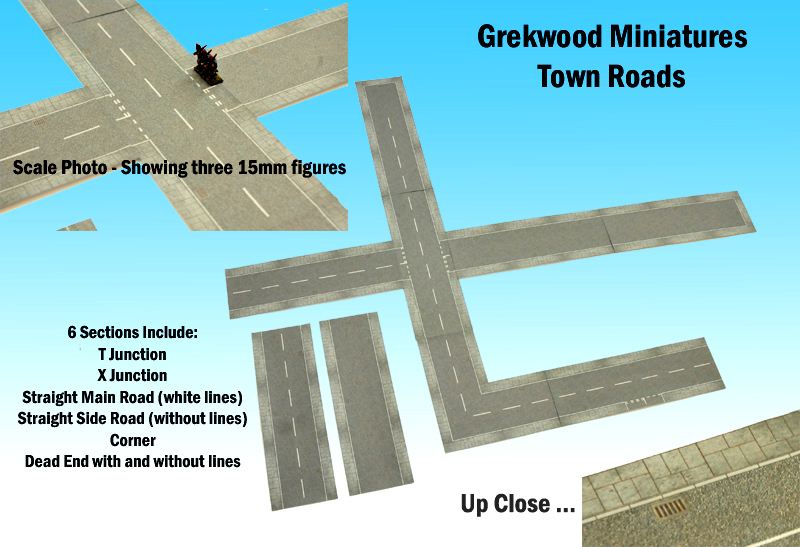 These are based on British residential roads and consist of 6 individual sections. Each section is made up of three 3.5" x 3.5" sections, creating lengths of 3.5 x 10.5". They can be cut down to fit your gaming needs.To make them sturdy you can glue them to thicker card or foam board. Colours in the photos may vary due to lighting at the time of taking the image. For reference, the tarmac roads are the same colour to match up. The downloadable PDF files are designed to be printed out using either UK paper size "A4" (29.7cm x 21cm) OR American "Letter" size with maximum printing area. 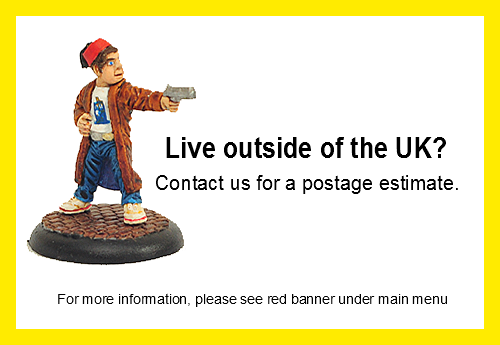 All PDF files will be sent to your e-mail address once we have recieved your order. 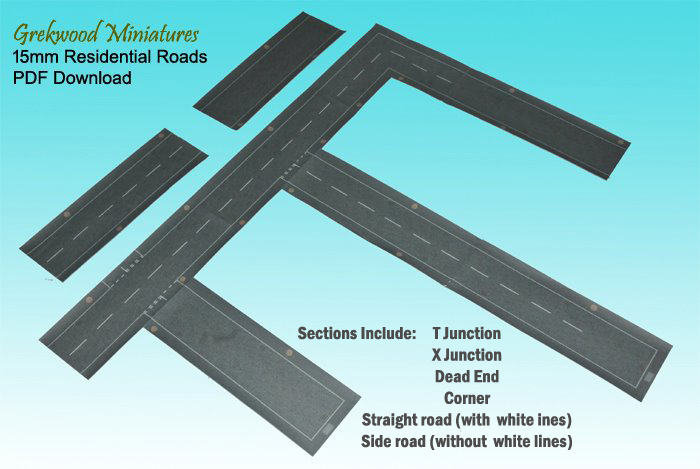 Tarmac roads with paving slab pavements.